So I haven't done GOT in the LONGEST time, but I am hoping to be able to fully participate for this next few months. I have far too many untrieds, and this is a great excuse to get through them and / or my unloveds! 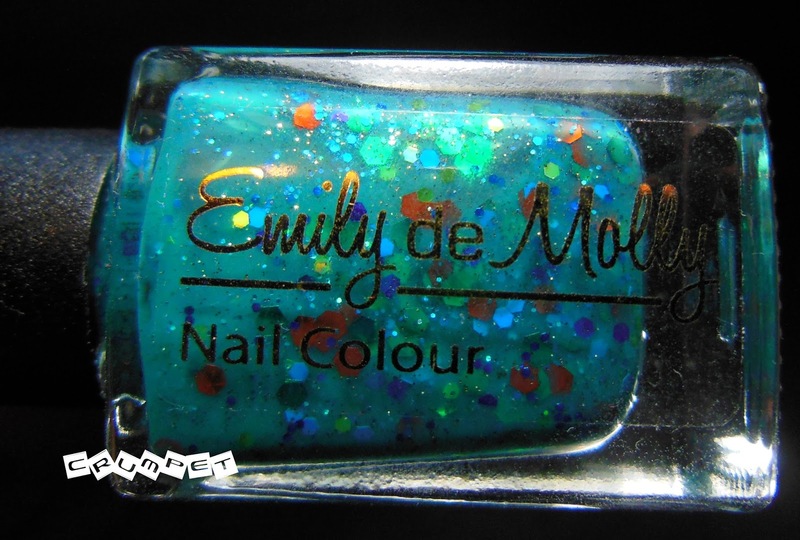 Today I have dug out an Emily de Molly that I bought an AGE ago but have never worn. 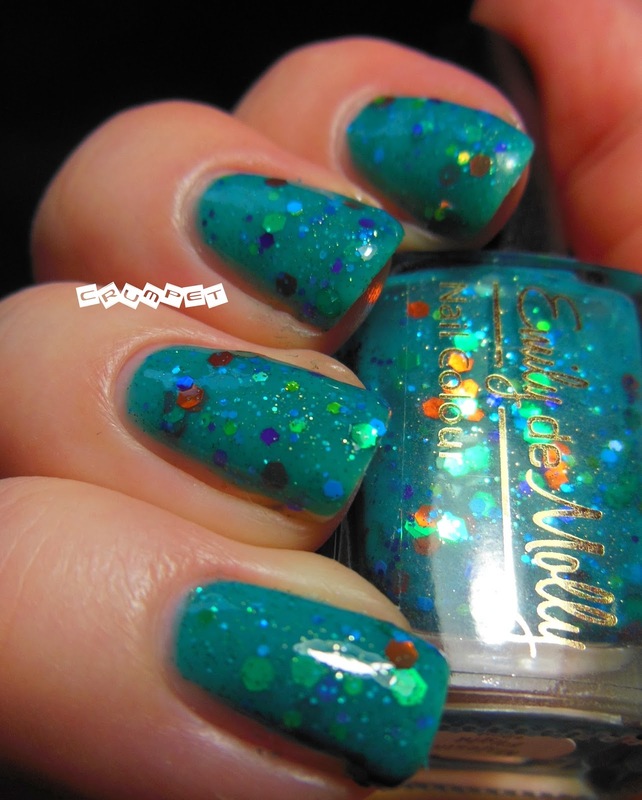 Majestic Flight is a fabulous turquoise, sprinkled with jewels of glitter. 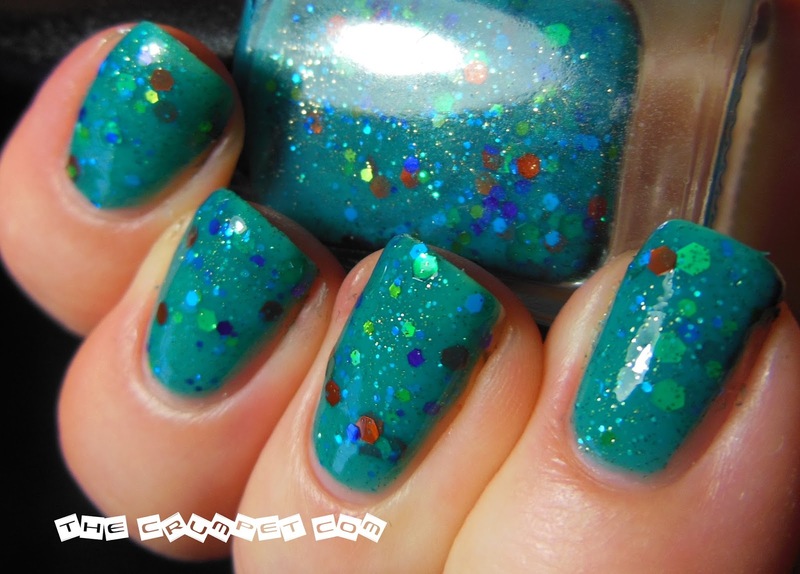 I am always drawn to turquoise glitter polishes. 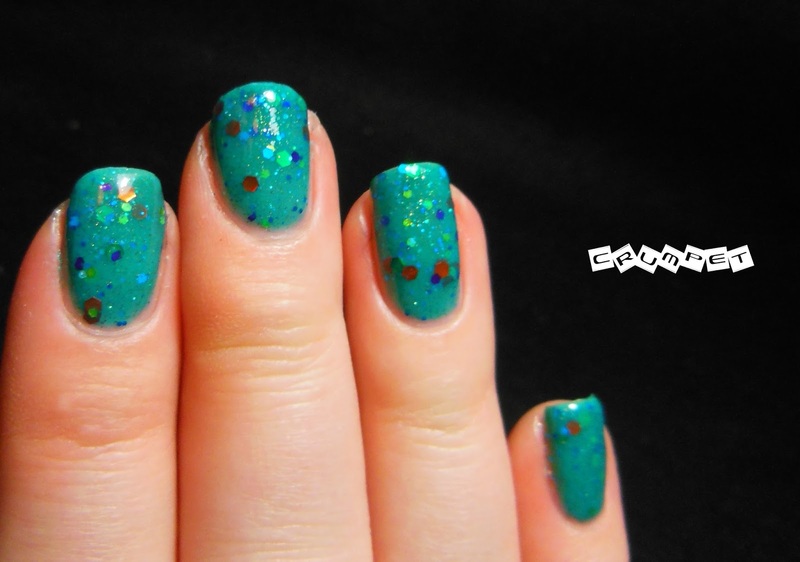 I am not sure why, but there's something about that combination of turquoise and jewel tones that gets me every time. 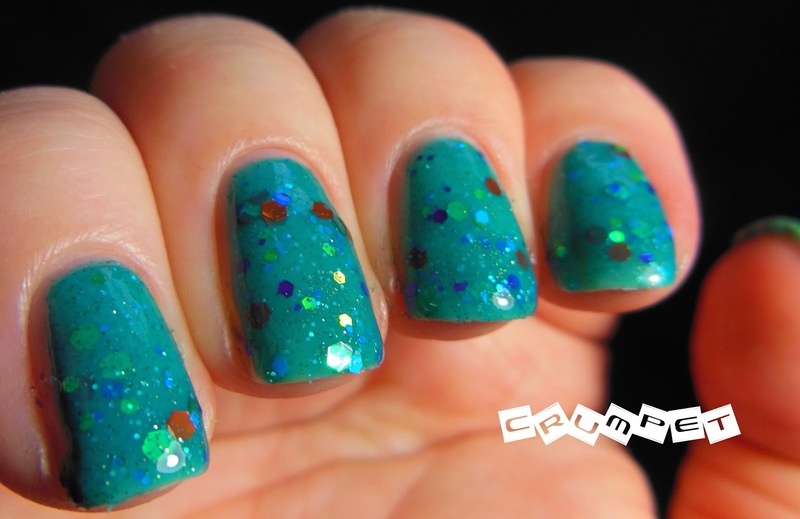 For a glitter, this applied very smoothly and easily with no issues. Considering it's been sat on my shelf so long, it was in miraculous condition - no sinkers, no issues with fishing for glitter either. The base is a tad more intense than my photos have captured - so turquoise it's starting to edge green. 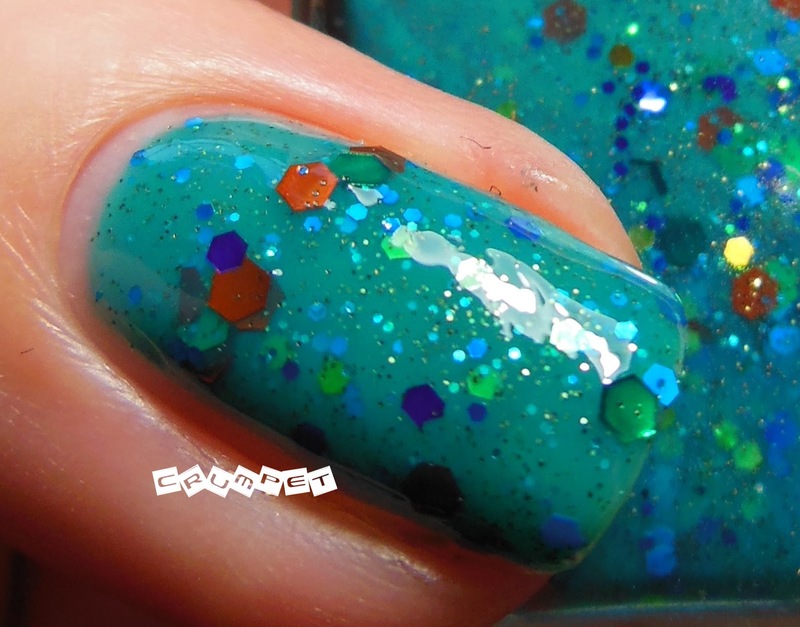 This is rich, vibrant and aquatic, all at once.